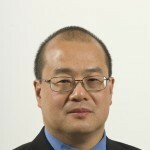 Dr Kenneth I. Lim, M.D., F.R.C.S.C. Dr. Lim is an obstetrician and gynecologist, sub-specializing in the area of maternal fetal medicine. He has been a member of the medical staff at BC Women’s Hospital & Health Centre in the Division of Maternal Fetal Medicine (MFM) since 1997. Born and raised in Vancouver, he completed his fellowship in MFM and residency training in obstetrics and gynecology at UBC following a year as a rural and urban general practitioner in Ontario. He has served as Medical Director for the BCW Diagnostic and Ambulatory Program since 2008 and participated on a number of committees for both BCW and for the UBC Department of Obstetrics and Gynaecology. Dr. Lim is a Clinical Associate Professor in the UBC Department of Obstetrics & Gynecology and has a significant portfolio of research grants, publications and teaching accomplishments. He is also author or co-author on a number of clinical guidelines at the provincial and national level and currently holds several research grants (BCCH Foundation and CIHR) as an investigator or co-investigator. His primary research interests include prenatal diagnosis, obstetrical ultrasound and fetal physiology. He has taken a large number of Physician Management Institute courses as well as completing Lean Leader training through the PHSA. He achieved designation as a Canadian Certified Physician Executive through the Canadian Medical Association this past January. He has been a member of the SOGC Diagnostic and Imaging Committee for six years and its chairperson since 2012. Early childhood behaviour: Relations to early brain structure/function and maternal mood.